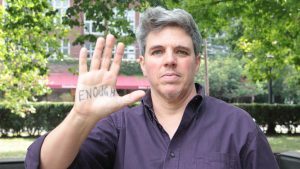 Enough Abuse Tompkins uses a public health approach to prevent the sexual abuse of children through education of parents, professionals, and other concerned adults. It is estimated that 1 in 4 women and 1 in 6 men has experienced some form of sexual abuse as children, most often by someone they know, love, and trust. Child sexual abuse is a silent, violent epidemic perpetuated by silence and shame. Truly a grassroots movement, Enough Abuse Tompkins is a peer-facilitated educational program for adults in Tompkins County. Skilled community members who have completed an intensive training process lead interactive free workshops that focus on understanding sexual behaviors in children, sexual abuser behaviors and grooming tactics, and the social conditions that perpetuate abuse. We have provided training to teachers, firefighters, parents, bus drivers, child care workers, bank employees, faith-based community members, and grocery store clerks to name a few. By breaking the silence surrounding child sexual abuse and arming adults with the skills to prevent abuse, we can create a community that protects children and keeps families safer. How is Enough Abuse Tompkins Different? Many sexual abuse prevention programs focus on educating children on how they can keep themselves safe. While this is important, Enough Abuse Tompkins takes the responsibility of preventing sexual abuse off of children and puts that responsibility onto adults. By teaching adults what to look for and how to respond appropriately, we can create communities where child sexual abuse is not tolerated. In our workshops, we look through a socio-ecological model that focuses on individuals, relationships, communities, and the larger society and culture. By examining the multiple, complex, and interacting causes of child sexual abuse, we become best equipped with the tools to disrupt the patterns that allow sexual abuse to thrive in our communities. This module focuses on exploring the question of what the social conditions are that allow child sexual abuse to flourish. Participants will learn about common strategies used to prevent child sexual abuse that are focused on preventing re-victimization and how the public health strategy offers a way to prevent child sexual abuse before it ever happens. Using the public health strategy, this module contains an interactive activity in which participants explore how social messages, secrecy, and silence play a role in the ongoing problem of child sexual abuse. Finally, participants will have an opportunity to learn strategies to help break the social condition of secrecy and how to report suspected abuse. This module focuses on exploring the question of what the impacts of child sexual abuse are on survivors and communities. Participants will learn about the Adverse Childhood Experiences Study and how abuse impacts survivors socially, emotionally, and cognitively over a lifetime. Information is also provided about the public cost to society. Participants will also gain knowledge of the how to recognize behavior and physical signs of possible sexual abuse in children and teens, and strategies to prevent and protect including key communication messages, how to respond to disclosures, and how to report suspected abuse. This module focuses on exploring the question of who sexually abuses children, why they do it, and how adults can keep kids safe. Participants will learn about characteristics of adult and juvenile offenders and explore reasons why people sexually abuse. Information is also provided on tactics commonly used by some types of abusers and behavior signs in adults that might indicate they pose a risk to children. Finally, participants will increase their knowledge of key strategies to prevent and protect children including important communication messages, what to do if they are concerned about the behavior of an adult, and how to report suspected abuse. Respond to all sexual behaviors in ways that promote the healthy development of children and that support bystanders who may be affected. Several scenarios are presented describing sexual behaviors of children that participants might witness in their homes, day care settings, schools, and other youth-serving organizations. Small group discussions give participants an opportunity to apply their new knowledge about how to assess and respond to these behaviors in ways that model good communication, empathy, and accountability. These responses can protect children and can reduce their risks of either being victimized or perpetrating sexually abusive behaviors. 3. It’s Not Just Jenna is an 18-minute video co-produced by Massachusetts Citizens for Children and Alvid Productions to educate middle school and high school youth, their parents, and other youth-serving professionals. The accompanying 30-slide “Learning and Discussion Guide” PowerPoint promotes and facilitates post-viewing discussion about the lessons Jenna’s story teaches us about child sexual abuse and how to prevent it. A “faith-community” version is also available that includes comments from Jenna’s parents about the role their faith played in addressing the issue. How to respond if we see behavior signs in a child or teen that raise concern that they may have been or are being sexually abused. Can Enough Abuse Really Teach Ways to Prevent Child Sexual Abuse? How Do I Schedule a Free Enough Abuse Workshop? Scheduling an Enough Abuse workshop is easy. Email us at eatompkins@theadvocacycenter.org or call our office at 607-277-3203. We will be happy to talk with you about which curricula options would be the best fit for your group, and will set a date and time. After working out these initial details, we will take it from there and look forward to seeing you on presentation day. 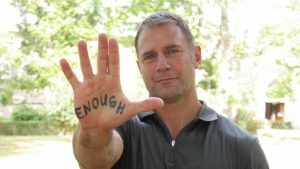 Interested in becoming an Enough Abuse Tompkins Trainer? Click here to get more info on volunteering and to download the application. How Did Enough Abuse Come to Tompkins County? Tompkins County has been aggressively addressing the problem of child sexual abuse since the early 1980s when community leaders came together to respond to a growing incidence of reports of child sexual abuse. Tompkins County took action by developing support and advocacy services for youth and families dealing with the impact of sexual abuse, as well as awareness and prevention programs for the community. As requests for services continued to grow, it was a natural progression for Tompkins County to begin to look for new ways to impart and increase primary prevention education in our community. We focused on ways to reach more adult community members to increase both their sense of responsibility for intervening in the cycle of child sexual abuse, and increase their ability to intervene and respond when they suspect abuse. When Prevent Child Abuse New York released a request for proposals in late 2012 to New York State agencies interested in piloting the Enough Abuse Campaign, we jumped at the chance to be considered for the opportunity and were chosen to be one of three sites, along with Broome and Suffolk Counties, for the new pilot project. The Advocacy Center of Tompkins County is the lead agency for the local campaign. 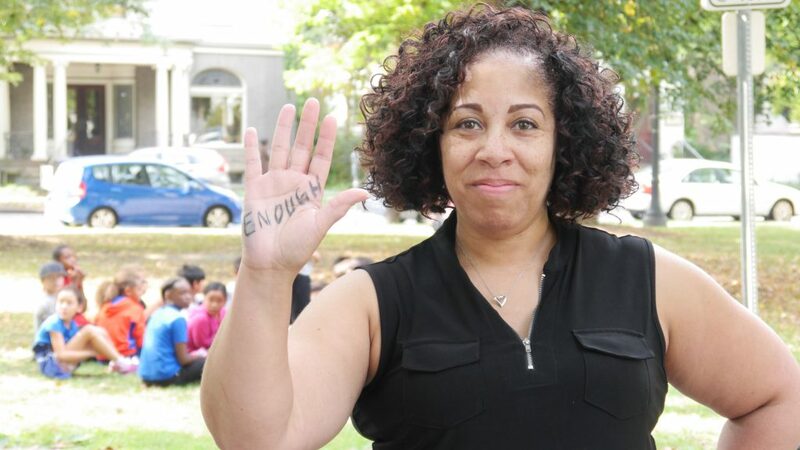 Initially developed in Boston in 2002, the Enough Abuse Campaign is a result of a collaboration of six child advocacy agencies spurred by the Boston Globe’s exposé on the clergy sexual abuse crisis. With a grant from the Centers for Disease Control, the three curricula options were developed. Enough Abuse has programs in eight states, including New York. Stop it now is an excellent resource for people looking for more information about all aspects of child sexual abuse prevention. 1in6 is an organization and website for men who have been victim’s of child sexual abuse. Darkness to Light is simmilar to Enough Abuse with a focus on adults taking responsibility for sexual abuse prevention. 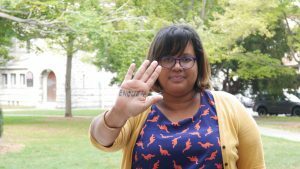 National Sexual Violence Resource Center page on child sexual abuse.